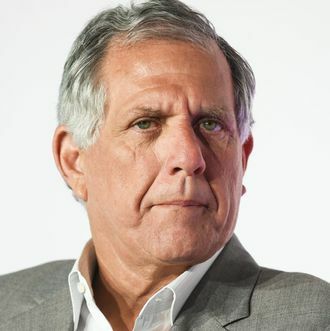 The Time’s Up organization has issued an open letter to Shari Redstone and the board of CBS Corporation, following the departure of former chairman and CEO Les Moonves amid sexual harassment allegations, calling on the network to implement major changes, and announcing, “The CBS environment is your responsibility.” The advocacy organization, founded earlier this year in the wake of the #MeToo movement, noted the entire CBS Corporation executive management team and all the heads of each of CBS’s divisions are men, and called for a major diversity push using “aggressive recruitment for truly diverse management talent, as well as the pipeline for entry-level positions.” Time’s Up also calls on CBS to donate the $120 million dollars that was meant for Moonves’s exit package (which was since cancelled) to organizations “that address sexual harassment and workplace safety.” Read the whole letter below. This is your moment. A cascade of women’s voices has changed the rules. The old playbook no longer applies. As one of the world’s most powerful companies, you have a choice. You can cling to a status quo as it crumbles around you. Or you can demonstrate what happens when true leadership embraces the future. Now is your opportunity to rise. As Norah O’Donnell said this week on CBS This Morning, “women will never achieve true equality in the workplace and in society until there is a reckoning and an acceptance of responsibility by those in charge.” This is that reckoning. The CBS environment is your responsibility. It has been an eventful few days with important changes made by CBS: the departure of the CEO, the refresh of the Board of Directors and the oversight that the board has started to assert. But it’s not over yet. TIME’S UP was formed to help workplaces move forward into a new era — a world that insists on safe, fair and dignified work for women of all kinds. We are asking you, the board and senior management, to move into that era with us for the sake of your employees and as an example to your colleagues and corporate peers. We ask that you review and remake not only the structure, but the culture, of CBS and take ongoing responsibility for issues of safety and equity in your company. Sexual harassment, retaliation and toxic work environments exist when workplaces are not fully diverse and inclusive at all levels and employees are not able to feel safe or reach their full potential. Full, independent investigations of alleged wrongdoing and the departure of a few executives is only the start. Real progress can only occur with a transparent commitment to long-term structural changes from top to bottom. We are glad to see the appointment of several new women to the board. But in reconstituting the board so quickly, an opportunity for meaningful inclusion was missed. Women of color and other underrepresented candidates were not added to the board in ways that are reflective of CBS’s vast audiences. While working on this issue, the new board can also demonstrate leadership in tackling the ongoing issues that hamper women’s advancement and equality in the workplace. ● Undertaking a pay equity study, and commit to closing any racial, ethnic or gender gaps. We do not expect these measures to be implemented overnight. We do not ask for miracles. We recognize that meaningful, sustainable change will take time. But by enacting measures such as the above, you can create a model for not only the media and entertainment industry, but companies in general. As it relates to Mr. Moonves, we ask for a commitment to assure that the results of the investigation will provide transparent integrity in the process. We also urge that the full amount reserved for Mr. Moonves’ severance be contributed to organizations that address sexual harassment and workplace safety. That is $120 million dollars that will either go to Mr. Moonves or back into the coffers of the company that allowed the culture created by Mr. Moonves to continue. Or that $120 million can create change by going to organizations — and there are many impactful organizations — that can help women of all kinds. The choice is yours. But the answer is obvious. We ask that you not dishonor the bravery of those who have come forward by spending that money unwisely. As we said, now is your opportunity to rise. We stand ready to work with you and to promote your progress as it occurs.